The yarrr package contains a mixture of functions and datasets that support my e-book YaRrr! The pirate’s guide to R. The most notable function in the package is pirateplot(). 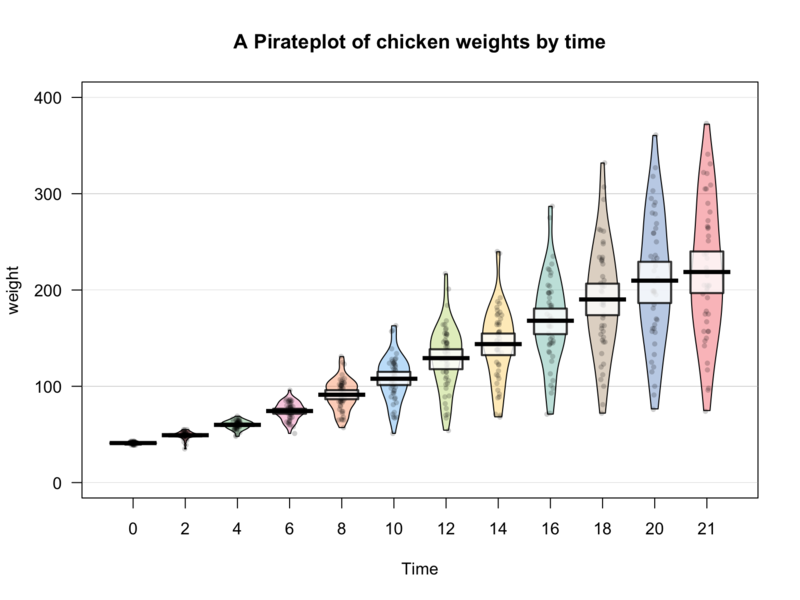 A pirateplot shows the relationship between a categorical independent variable and a numeric dependent variable. 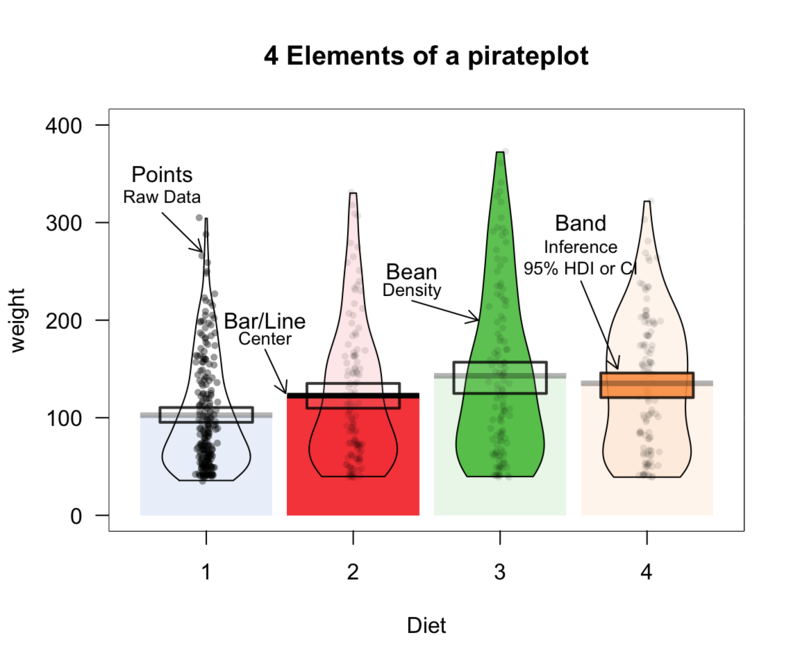 However, in contrast to notoriously deceptive barplots, a pirateplot reveals patterns in data by showing Raw data (as points), Descriptive statistics (as lines and/or bars), and Inferential statistics (as bands). The pirateplot() function contains many arguments that allow you to easily customise the look of the plot, from the colors, to the element transparencies. To learn more, look at the pirateplot() vignette on CRAN.